A simple hanging collection of chimes or bells accompanied by ornamental objects. But wait. They are magical, musical machines that require no batteries, extension cords or artificial power. They are decorative wind chimes that sing a lullaby on a breeze. 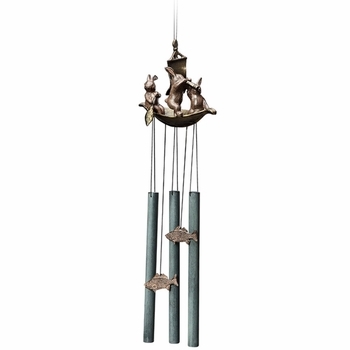 Our selection of unique wind chimes feature stylized angels, butterflies, dolphins, fairies, octopi, penguins, pinecones and seahorses. Some are tubular while others boast a line of bells. Some look less like a chime and more like a mobile sculpture. But all our decorative wind chimes are a sight to be seen as well as heard. With our unique wind chimes it's perfectly alright to indulge in your passion for cats or enjoy the wind driven bears attempt a raid on a beehive. 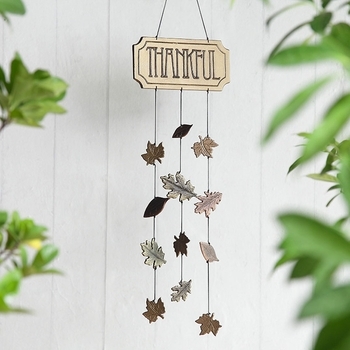 The pleasant whispering of a calm breeze and the peaceful sound of rushing winds are wonderfully accentuated with the music produced when they flow through a beautiful set of wind chimes. Sure to appeal to your sense of sight as well as sound - each handcrafted sculpture is positioned atop a set of melodious chimes.